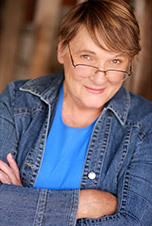 "Gai Jones is my role model for educational theatre. Ms. Jones’s theatre students raise the bar for Southern California theatre students! Every great idea I use I stole from Gai Jones. What a great resource for theatre educators!" 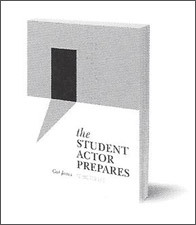 Theatre Resource gift book, "BREAK A LEG..."
The Student Actor Prepares: Acting for Life is a practical, interactive approach to a student actor's journey. 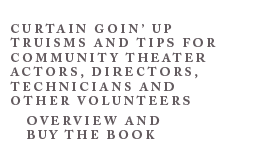 Each chapter includes acting principles, their importance to the process, and workbook entries for emotional work, script analysis, and applications to the study of theatre. Topics cover a brief history of the art of acting and how the study of acting can be an advantage in numerous occupations; an actor's discover of emotional work; movement and mime practices for the actor; vocal practices for the actor; solo improvisational study; script analysis for the individual actor; rehearsal tips; monologue work; original solo work; audition information; working with an acting partner or in a production; acting resources and research topics. 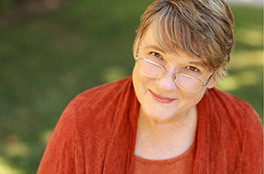 Gai Jones, Founder of California Youth in Theatre, taught theatre at El Dorado High School in Placentia, CA, for 34 years.